Novak Djokovic admits he wants his fourth grand slam in a row at the French Open. Stephanie Brantz and Nico Periera reflect on Djokovic's historic 7th Australian Open win. 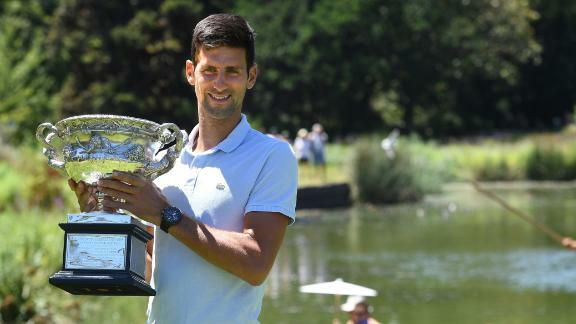 Novak Djokovic talks about overcoming adversity to claim his seventh Australian Open title and thanks the fans and his family for their support. Novak Djokovic defeats Rafael Nadal to win his seventh Australian Open and third consecutive Grand Slam title.